Re-issue on CD that includes the two first EP's from '87 & '90 by this mythic german band of intense Death/ Thrash, a true jewel from the 80's!! Official re-issue in only one CD that includes the LP "Urm The Mad" from '89, the MLP "Leviathan's Desire" from '90 and four live tracks from '89. Comes with an extensive 24 pag. booklet with liner notes, lyrics, photos, etc. 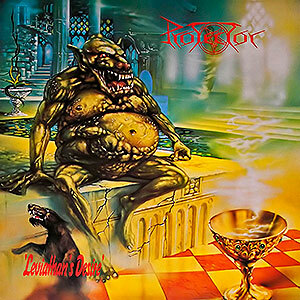 Pure German Thrash from the old school! !